sponsor to convey the urgency. Define Clear Expectations – Let team members know what will be expected of them and what training and knowledge will be required to effect the change. Engage stakeholders to understand what this organizational change will mean to them. You will need a master vision for change, and various iterations based on the roles within your organization. The researched-based Prosci ADKAR model identifies “knowledge about how change” as one of key steps in a change management process. “Knowledge is the goal/outcome of training and coaching.” If people clearly know what’s expected, they are able to rise to the expectations. They must exceed performance expectations. They must have an aptitude and a desire for training. They must be change adopters. The earlier change adopters enter the change curve, the more likely they’ll be out of the change curve by the time they need to start training people. 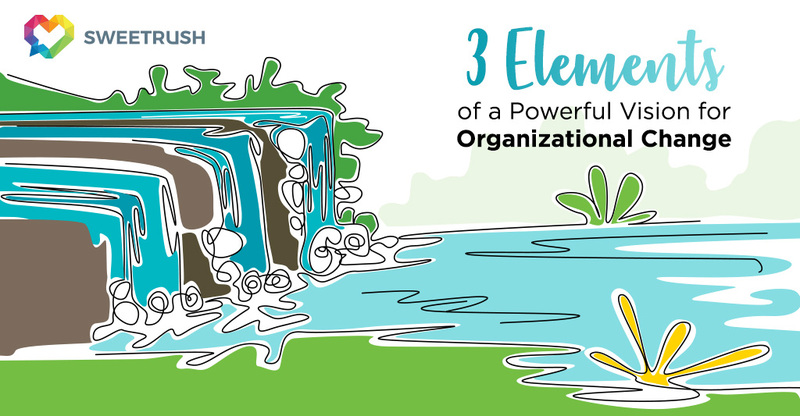 When carefully crafted with all stakeholders in mind, your organizational change story can be one of the most powerful motivators for transformation. It brings everyone on the same page, and provides consistent messaging for all involved. Going slowly to develop a relevant change story enables a faster process for change. Interested in crafting your own change story? Visit our Change Management page to learn how Ashley and her team can help. Foster a learning culture that motivates your team with these valuable practices. You cannot have..
6 Steps to Building Trust in Organizational Change Management Change done well builds trust. Change..
We’ve all heard the statistic that 70 percent of change management initiatives fail. Often it’s..